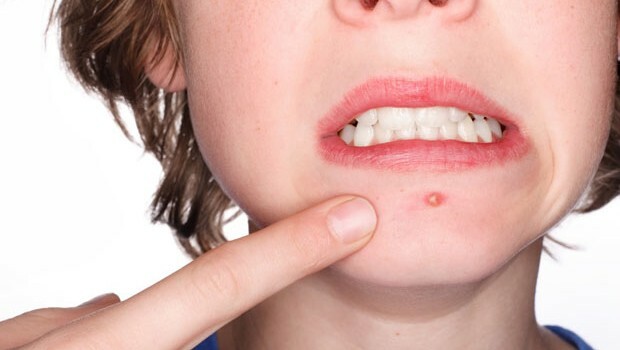 Most people have got Acne, which is also called Pimple or Zit. 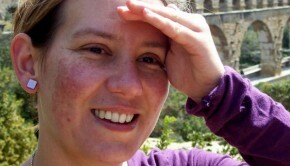 No matter what you call them, acne can be distressing and annoyingly persistent. We can prevent them from occurring, then, what we should do is to do something to diminish or even get rid of them. Here are suggestions about the things you can do to get rid of Acne. Keep relax. Stress is a main cause to hormonal changes which are regarded as the main affecting factor for Acne. Getting enough sleep every night is a good way to reduce stress. There are other ways during the day like exercise to keep relax. Work for your skin. Keepping the consistency of skin is a great way to keep the acne from returning. So, you have to set a regular skincare regime. Wash your face with gentle soap both in the morning and evening. Moisturizing your skin by applying moisturizer regularly. Keep your hair and the hair products from your face. Pull the hair away from your face when you sleep and style it during the day. When you apply hair products like mousse, hair gel, cover your face first with a towel. Shampoo your hair regularly (at least twice a week) to keep residual dirt and oil from your hair. Ask medicine help. Ask a dermatologist or your health care provider for give your prescription. Oral antibiotics, Accutane, and benzoyl peroxide are all available medicines for treating acne. For women, you can also choose oral contraceptives. Retin –A is also a product that can reveal healthy new layers, but it can cause serious birth defects. Pay attention to your diet. Though there is no clear evidence that shows the relationship between diet and acne, you should avoid unhealthy foods such as chocolate, greasy food which can affect your complexion and worsen your acne. Try natural home remedies. Lemon juice is very useful for curing acne. Just dab a little on the acne. It works well. Plenty of lemon water intake also do wonders to your skin. Besides lemon, there are some natural remedies including potato, ice, tea tree oil, grapes, egg white, cucumber, and even the toothpaste. All of these can be used to deal with your acne. Wear sunscreen to protect your skin from being sunburned. Keep attention to the side-effects of those medicines, especially when you’re pregnant.